I almost never use plastic bags for grocery shopping. We never did at home and although Mum and Dad have a bakery and we do give out plastic bags in the shop if customers ask for, we just never use them ourselves. So this is something that comes natural to me. But cotton bags do eventually wear out and I was in need of a new one. The other day at the Village Haberdashery I spotted this wonderful cotton twill and I knew I wanted to make this bag with it. No other, just this simple number and oh boy am I happy with it. The bag uses vintage linen that I have from my grandmother and I used the twill not just as a handle but also as decorative straps around it. This does make sewing a little tough but I used my trusted walking foot throughout and that made the process quite easy. 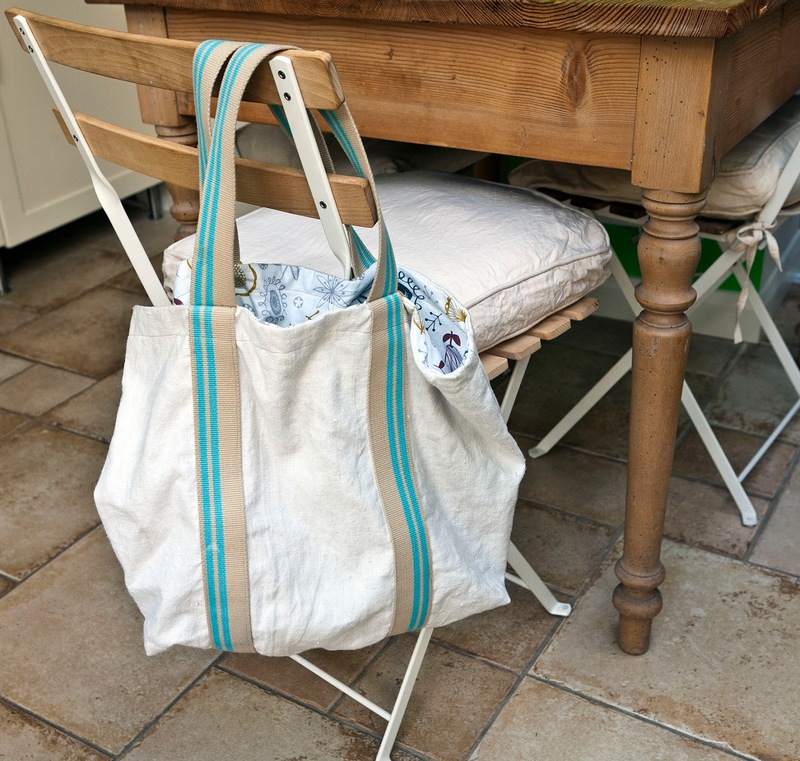 The handles are 17 in long which is perfect to carry the tote in your hands or on your shoulders. It's got boxed corner of course and is lined with 'Annali' from Dashwood studios.